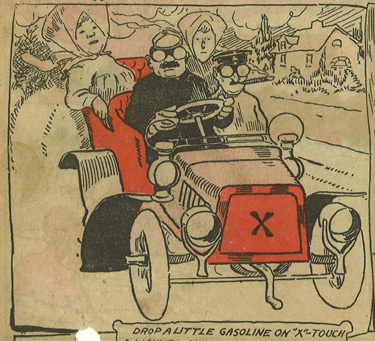 Here’s a nice example I scanned of That Family Next Door from 1918 by Kuatt? Knott? Can anyone identify this cartoonist? It’s a pretty polished cartoon, and a funny one, so I would think this is likely to have been done by a known cartoonist. Note the similarity in title and theme to George Herriman’s wonderful The Family Upstairs. UPDATE: Reader D.D. Degg in the comments let us know that this is by cartoonist Jean Knott, who also did the strips Penny Ante and Eddie’s Friends. Thanks D.D.! See examples of Penny Ante on Barnacle Press here. See an example of Eddie’s Friends on Shorpy here. 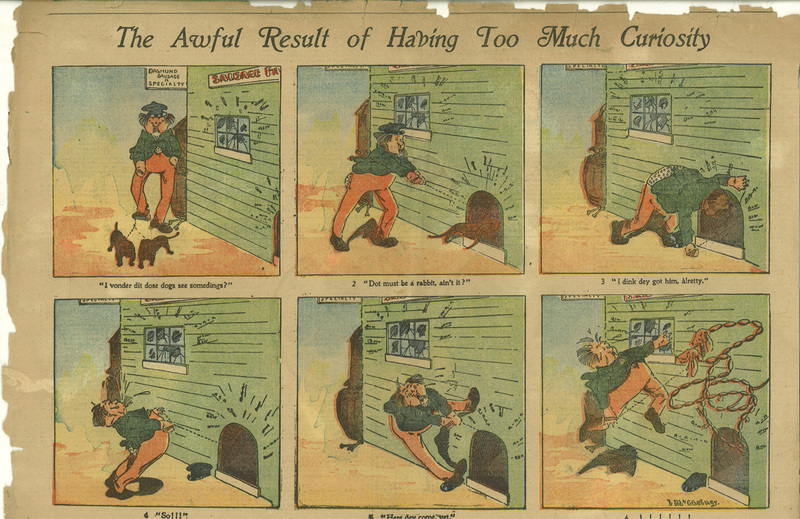 Here’s a primitive and twisted strip I scanned of what is presumably a one-shot strip titled The Awful Result of Having Too Much Curiosity by an unknown artist… I don’t know the year, but it is over 100 years old. If you think you know who drew it, please enlighten us in the comments. Reader Steve Walker sent me an update on the mystery artist who made the below cartoon he had sent in and I wrote about here… his search has concluded it is by William Gropper. It still could use a good caption… please contribute any you think of in the comments. 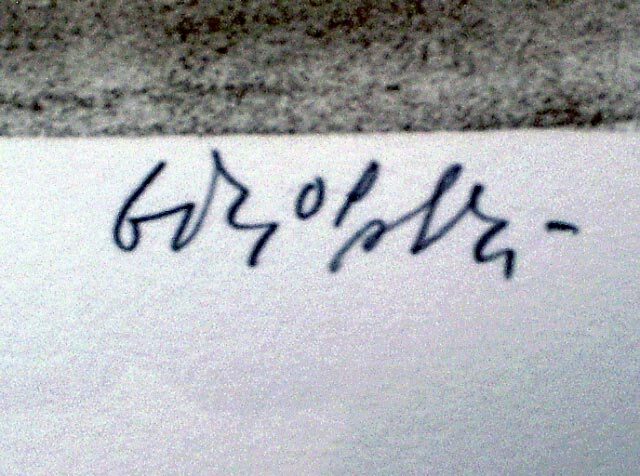 Can You Identify This Artist? Can You Make Him Funny? Reader Steve Walker sent me the below images and asked me if I could identify the artist… I can’t, can you? Also, these need a punchline, if you’ve got one of those. I’ll update this post with information and punchlines from the comments. 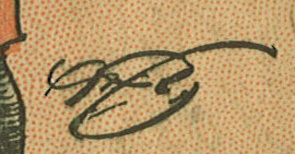 Here’s a close up of the signature. 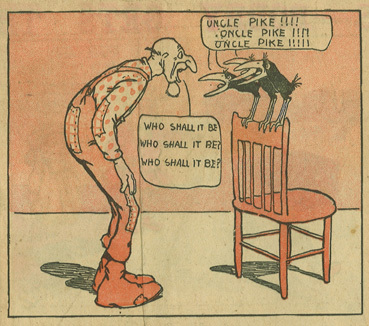 Here’s a second set of miscellaneous one panel gags by unknown artists that appeared here (as before) above an Uncle Pike strip (this one is lost)… this is probably from 1903. 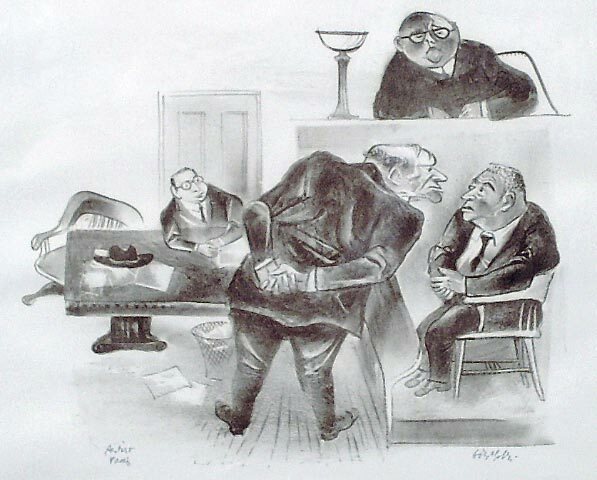 Glad Rags, the Corpulent Tramp is in the final panel, so that one is presumably by William F. Marriner. If you can identify any of the other artists, please let me know in the comments and I’ll note it here. 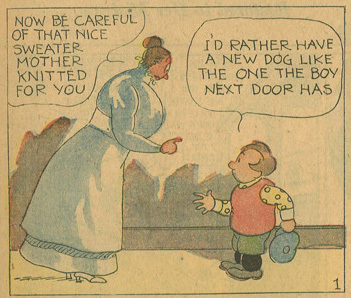 See the first set I scanned of one panel gags here. I’m still hoping for identification of those artists as well. 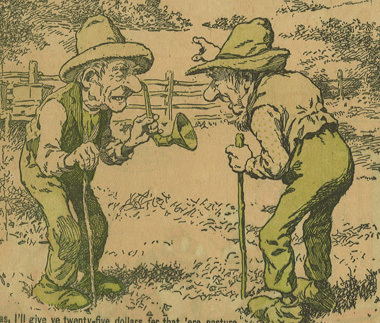 Crumbling Paper: Glad Rags, the Corpulent Tramp and How Would You Like to Be John? 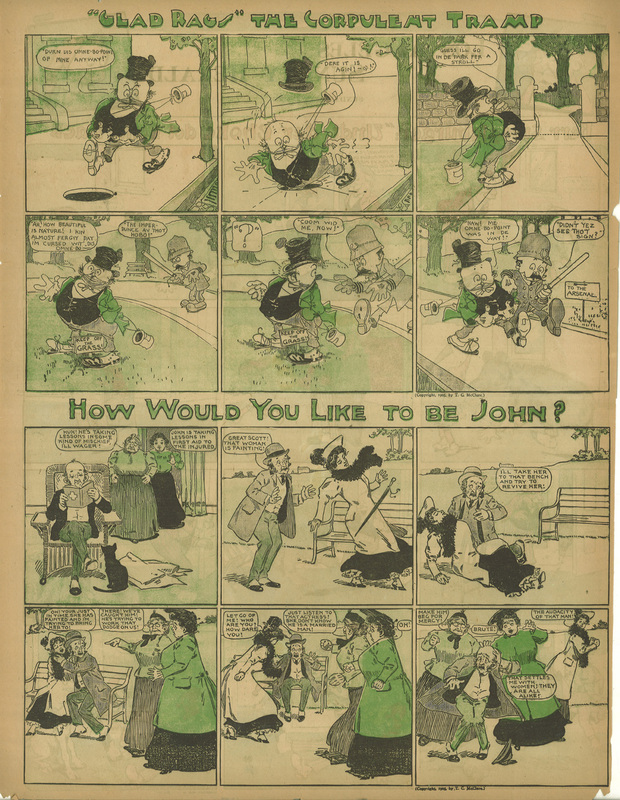 Here’s an example I scanned of Glad Rags, the Corpulent Tramp by William F. Marriner and How Would You Like To Be John? by an unknown artist from 1905. Can anyone out there identify the artist of the John strip? If so, please let us know in the comments. Omne-bo-point? UPDATE: Cole Johnson identified the artist of How Would You Like To Be John? as J.A. Lemon. Thanks, Cole! Click here to read about William F. Marriner at lambiek.net. 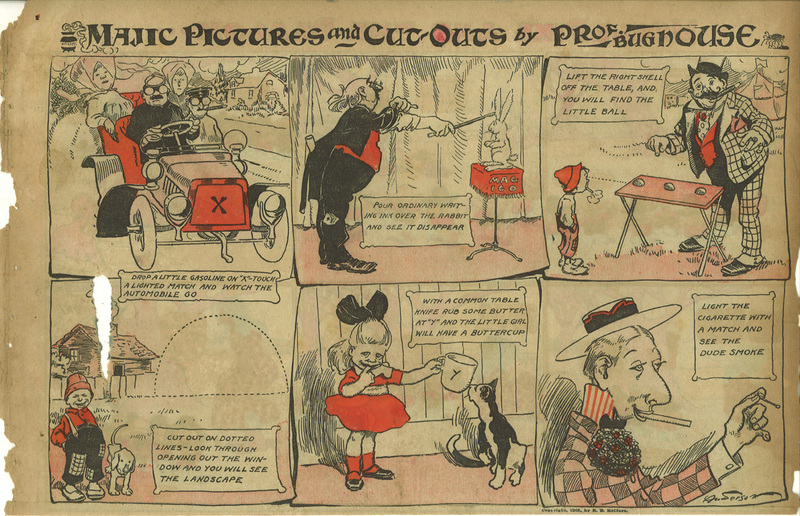 Here’s a wonderfully funny strip I scanned titled Majic Pictures and Cut-Outs by Prof. Bughouse by an unknown artist from 1905. If you can identify the artist, please let me know… his signature is in the lower right panel. UPDATE: Troylloyd in the comments pointed out something obvious I forgot to mention… the cartoonist’s last name signed in the last panel appears to be Anderson. 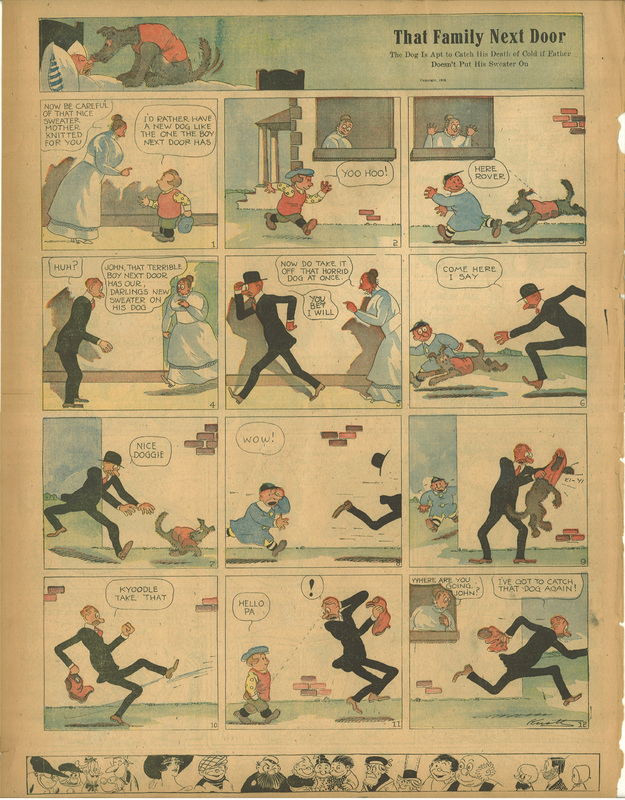 He also pointed out that there was a Professor Bughouse strip by John A. Lemon in 1904, which is likely to be related to this feature. Thanks, Troylloyd! 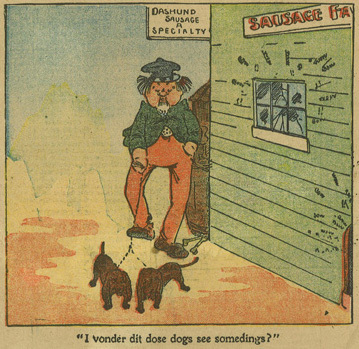 a series of one panel gags by a number of different cartoonists. 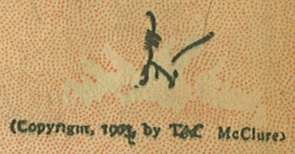 The only legible signature is that of “Joe Rigby” in the second panel. Here are close ups of the other ones… can anyone out there identify these cartoonists? UPDATE: Cole Johnson identified the artist of panel 1 as Carl Anderson. UPDATE: Cole Johnson identified the artist of panel 3 as C.R.McAuley. UPDATE: Cole Johnson identified the artist of panel 5 as Carl Anderson (as with panel 1). 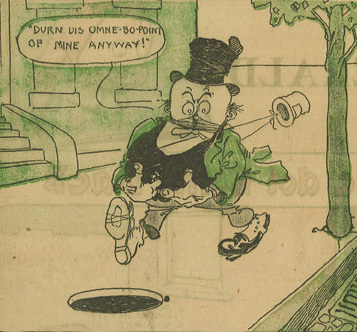 UPDATE: Cole Johnson speculates that panel 6 may be by George Herriman… definitely looks like a likely possibility to me as well, although that signature-like scribble may indicate otherwise. From panel 7. The art looks a bit like James Swinnerton, but I doubt it is him. UPDATE: Cole Johnson identifies this panel as being by William Marriner. 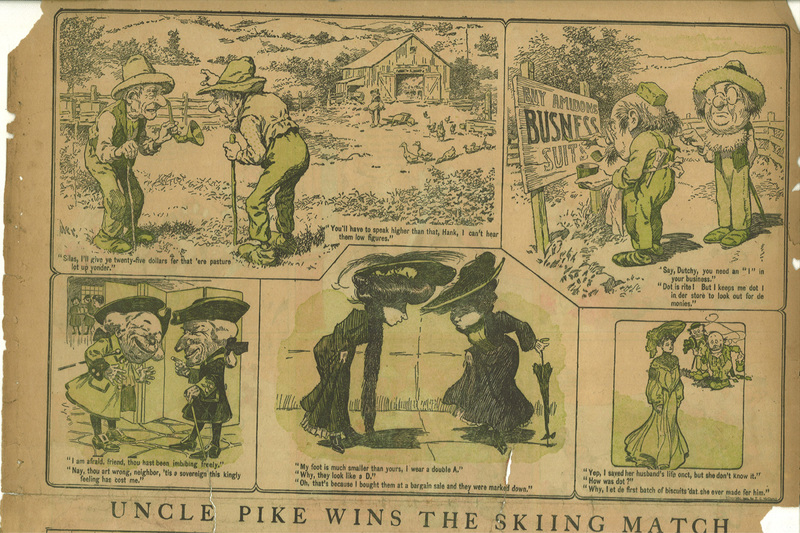 The second strip is “How Uncle Pike Secured the Unanimous Vote” by A.D. Reed. 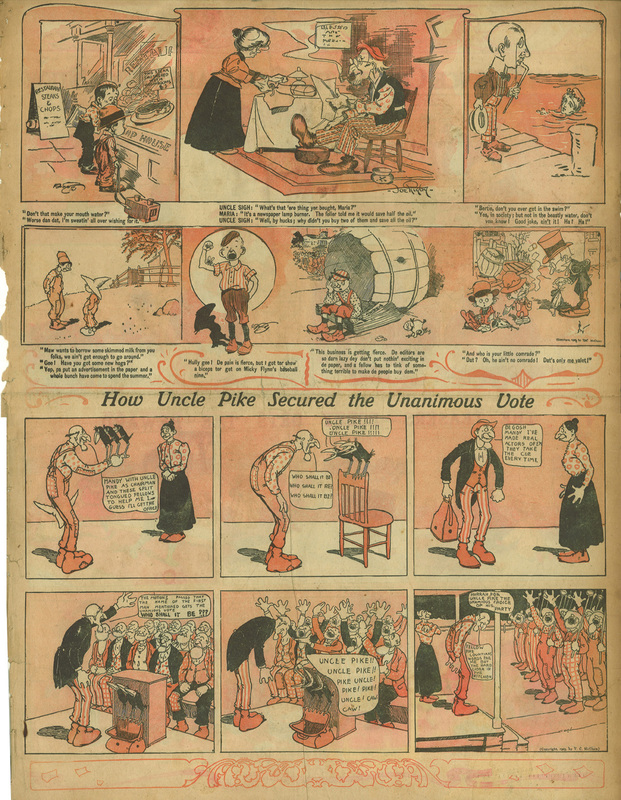 According to the Ohio State collection, Uncle Pike ran from 1902 to 1905. I’m not sure what paper these are from… the Ohio State copies are from The Philadelphia Press, and the copyright on these is McClure. Click on the below image to view the strip.